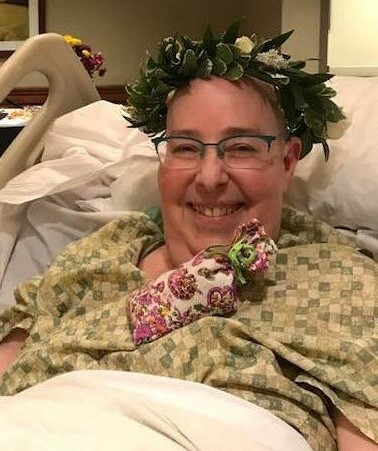 My friend, writing colleague and mentor Debra, living life to the fullest while she lay in her hospital bed shortly before her death. I love her dearly and will miss her forever. Today is the 17th anniversary of 9-11 in which 2,996 people died. Yesterday I learned of the too-young death of a writer colleague who was one of the most giving and kind people to become a part of my life. Life is simply not fair. But I know my friend would be disappointed in me if I let her death drag me down. And I suspect that this is the same for everyone who ever lost a loved one – be it 17 years ago, or just yesterday. 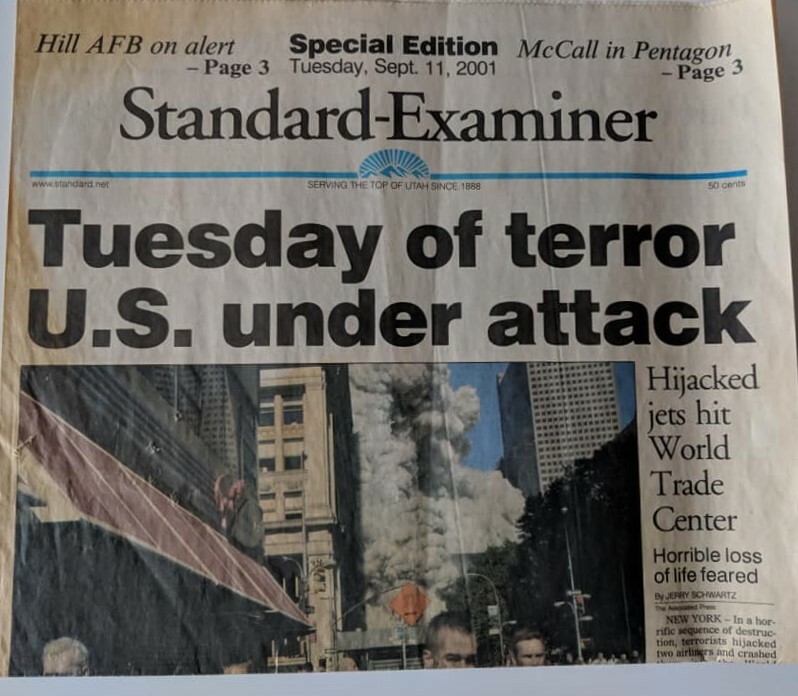 I was city editor at the Standard-Examiner on 9-11, and helped put out the sad news on that fateful day. It is what I know I want from my friends and family when my times comes. Celebrate my life, not my death. None of us truly know when our time will be up on this earth. Once I accepted this, I began to appreciate just how precious every moment is. My goal is to try and live every moment to the fullest. While I know every moment can’t be productive and perfect, I know I am still blessed to have had it – and thankful to have had it, too. https://tricksterchase.com/2018/09/10/emily-dickinsons-refrigerator/?wref=pil And may my soul always be blessed by laughter, especially when I laugh at myself. Thanks. And yes, Debs would have loved that poem. My friend here at my apartment complex, a chef and a beer drinker, is still laughing. I’m so sorry for your losses, Pat. Hugs! Hugs are always welcome. Thanks Marian. Sorry for your loss and beautiful insights. beautiful post; I am very sorry for your loss.